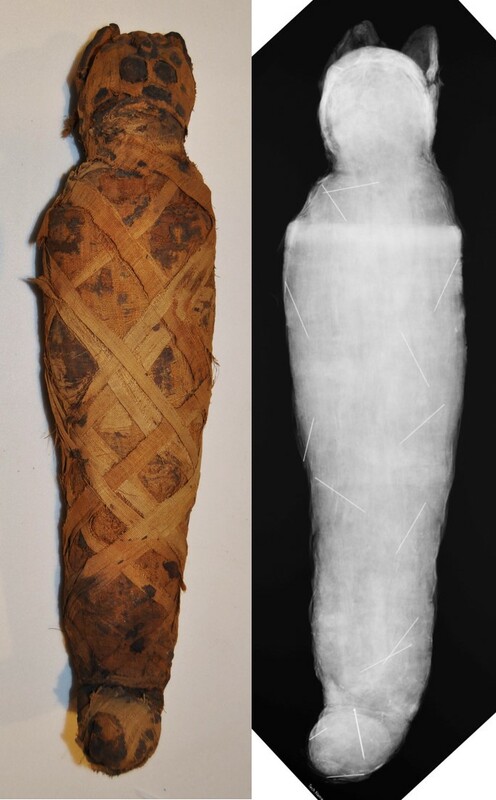 We x-rayed several animal mummies last week. Here we are checking in on our patient. Isn’t this little kitty mummy so cute, just lying there on the x-ray plate? Most of these mummies were on display in the Secrets and Science gallery until 2 weeks ago and several of them are going back on display soon. So now is our time to learn as much about them as possible! 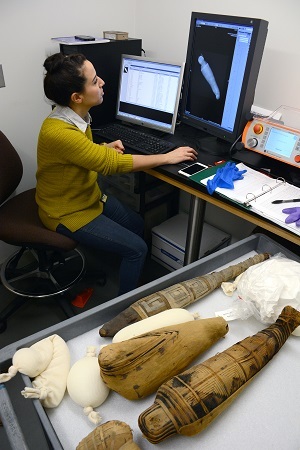 We teamed up with Dr. Kate Moore, CAAM teaching specialist and zooarchaeologist, to see if we can figure out what is under the wrappings of these little (and a couple really little) mummies. I’m going to divide the information about this project into 2 different posts. 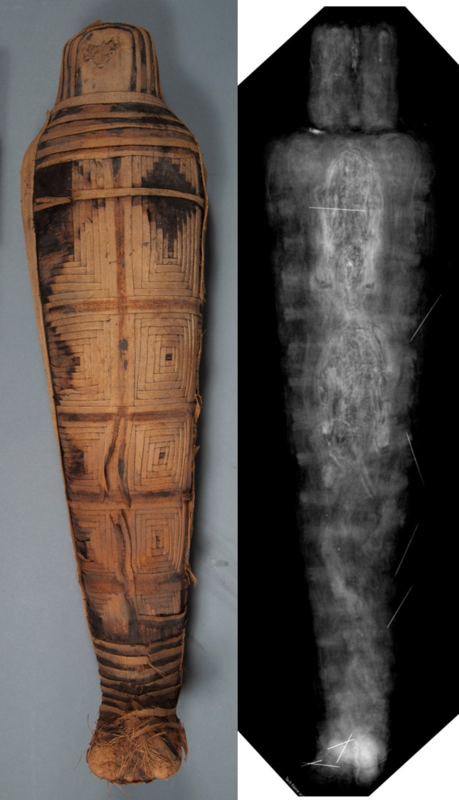 For this first post, I’m going to show side-by-side images of the some of the mummies and their x-rays, and welcome readers to make some guesses as to what is inside. I’ll follow this post by providing some information on what we think we are seeing, and some outstanding questions we still have. 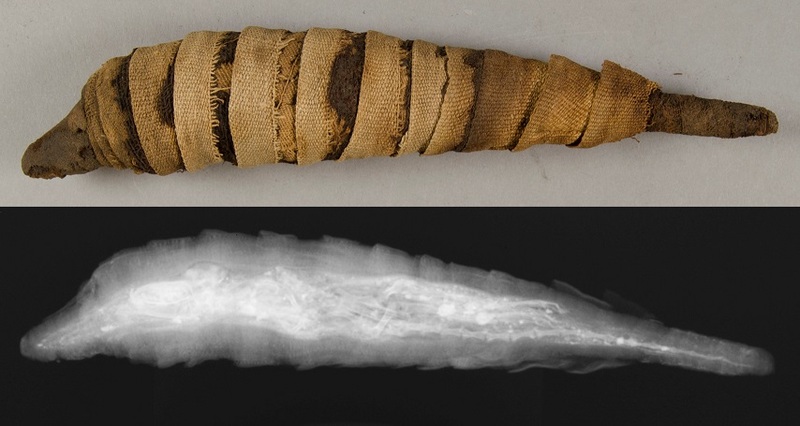 You can find out more information about these little mummies by searching our Collections Database online (and also by looking at our Current in the Lab tab on this blog). We’ll blog about our interpretations soon. 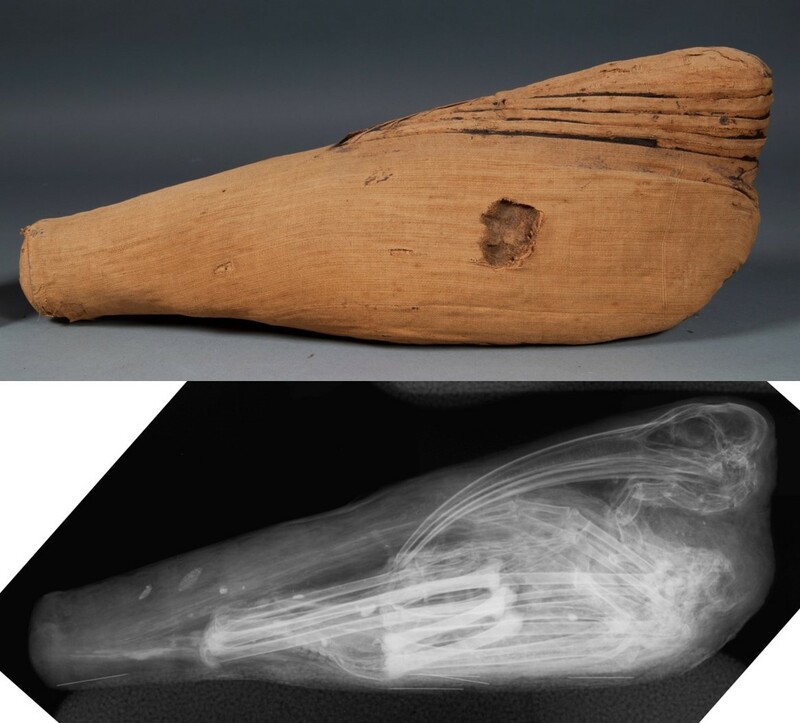 This entry was posted in Animal Mummies, examination, imaging, Objects In the Artifact Lab and tagged animal mummies, digital x-ray, x-radiography, x-ray by mollygleeson. Bookmark the permalink. Enjoyed our stop at the Artifact Lab, and speaking with you while I was taking pictures of your work. Very intriguing– it piqued my interest in that time period. Knew nearly nothing about it until that day. Thanks for being so patient and informative. Thanks so much for visiting and for writing into the blog! Thank you very much for post such an article describe the mask.I didn’t know such mask until you post it.I’d like to go to the musemu to see it.I hope you can write more about it and I’m interested in these masks!Have a nice day!